The Saturday had started with a 4.00am start and at 5.06am as I passed the NEC the sunglasses went on and stayed on until the evening. The event start was just 6 miles outside Scarborough and the paddock was busy and nearly full when I arrived at 8.00am. 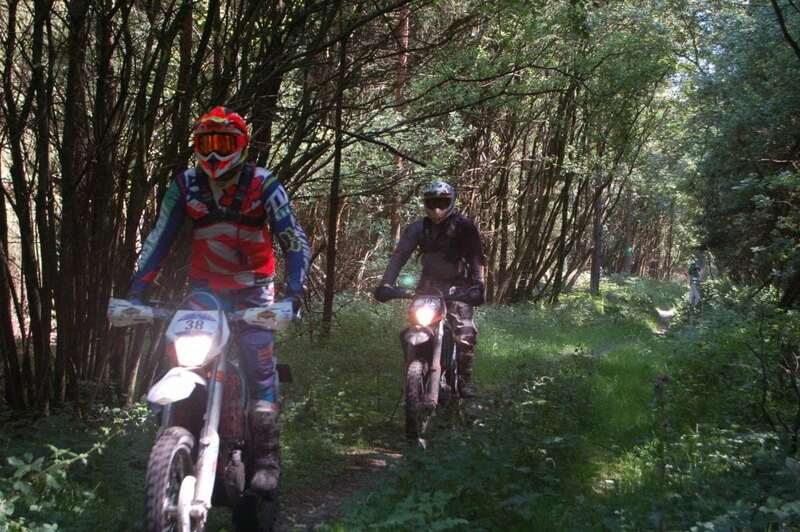 As usual the Yorkshire Enduro Club were running a tight ship and everything was well organised. Signing on and scrutineering were soon sorted, so we headed to the food tent for a quick breakfast and we were ready for a 9.33 start on lucky number 13. The event was full with a maximum number of bikes riding the two day rally. Day one consisted of a short ride to the first check point, which served as the refuelling point for the long 40 mile lap. 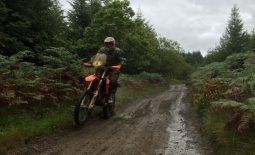 The total days riding was 140 miles, with very mixed terrain, from single enduro style tracks through the forests to open and quick dusty fire roads. 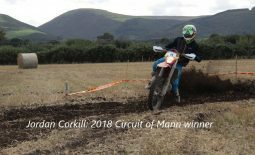 The temperature remained above 30 degrees for the whole day and the course was very dry, where there were usually big puddles there were rock fields – even the “big” puddle in the special test was minimal and the only real muddy bit on the course. 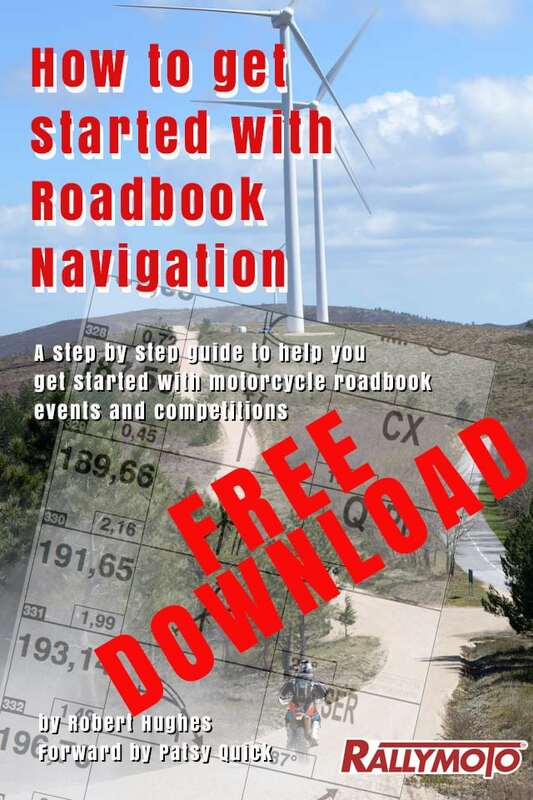 If you got a clear run on the fire roads it was quick but if you caught other bikes overtaking was very difficult and some riders dealt with these conditions better than others – my preference was to play it safe and overtake where possible in the single track. Out of the three laps on day one, the first lap was a sighting lap with the other two laps being competitive and timed. Day 2 started with a longer liaison which us to a smaller 20 mile loop in the forest with a new technical special stage, which was much more endure focused and some of the bike bikes found this harder than the previous day. 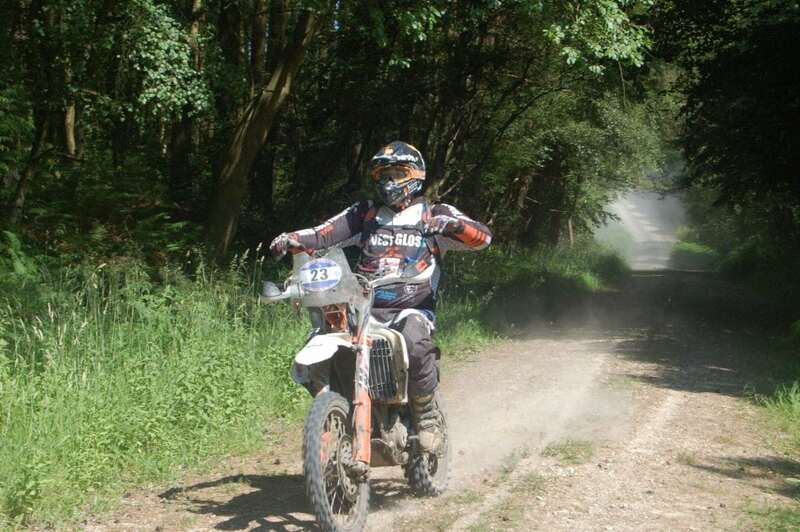 There were less issues with dust as the initial stretch of fire road wad quite short before entering an enduro style track which took you into an open track of soft sand soil and small rocks before plunging you back into the woods onto a twisty single track. 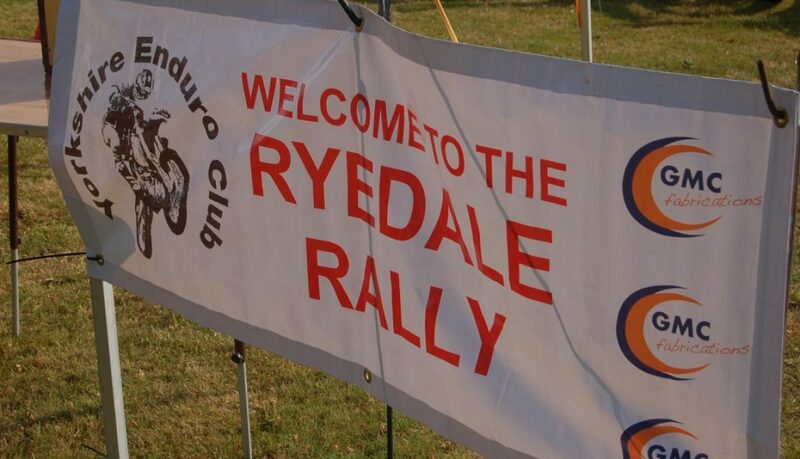 The next stage was cross country and then into the famous Ryedale long ruts along the avenue between the trees. After this was a fast section of fire road which led to a bumpy single track and down to the finish. The rest of the lap was a relaxed ride on open fire roads and through some of the previous days stage to finish back at the check point ready to refuel and head out again on another lap.